Comments Off on GOOGLE IS THE 2ND LARGEST LOBBYIST IN THE U.S. In May, 2012, the law school at George Mason University hosted a forum on Internet search competition. Many of the major players were there including the Federal Trade Commission, Federal and State prosecutors and top congressional staffers. What the guests had not been told was that the day long academic conference was in large part the work of GOOGLE, which maneuvered behind the scenes with the university’s Law & Economic Center to put on the event. 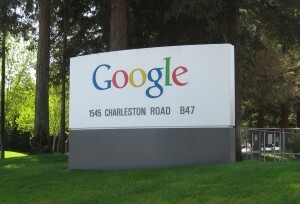 In the weeks before, GOOGLE executives suggested potential speakers and guests, sending the Center’s staff a spreadsheet listing members of Congress and FTC Commissioners, senior DOJ officials and state attorneys general. The day of the conference, leading tech and legal experts forcefully rejected the need for the government to act against GOOGLE, which was being investigated for anti-trust violations, speaking before regulators who would help determine its fate. The behind-the-scenes machinations show how GOOGLE has come to master a new method of operating in Washington. This new method includes financing sympathetic research at universities and think tanks, investing in non-profit advocacy groups and funding pro-business coalitions cast as public interest projects. GOOGLE now places 2nd only to General Electric in corporate lobbying expenditures. Its increasingly muscular Washington presence matches its expanded needs and ambitions in fending off a series of Executive and Legislative Branch threats to regulate its activities. Executive Chairman Eric Schmidt is a well-known backer of Obama and advises the White House. GOOGLE’S lobbying corps, now over 100 strong, is split equally between Democrats and Republicans. It contributes money to conservative groups like Heritage Action for America and The Federalist Society. It has befriended key lawmakers in both parties by offering free training sessions to Capitol Hill staffers on how to use GOOGLE products that can help target voters. As the public’s outrage over the NSA snooping on U.S. Citizens has grown, GOOGLE has successful kept the focus on limiting government surveillance and not on the data collection done by private companies and especially GOOGLE. The ACLU, Heritage Action, Americans for Tax Reform and the Center for Democracy & Technology have formed a coalition calling for the government to obtain a probable-cause warrant before accessing emails and other electronic data. This coalition, known as Digital 4th is funded by – you guessed it – GOOGLE! !